Lovely readers, good afternoon or evening (depending where you are, reading this)! We’re celebrating the 6 month release of A Tiny Piece of Something Greater with having a great visual tour I’m part of with lots of other amazing hosts. 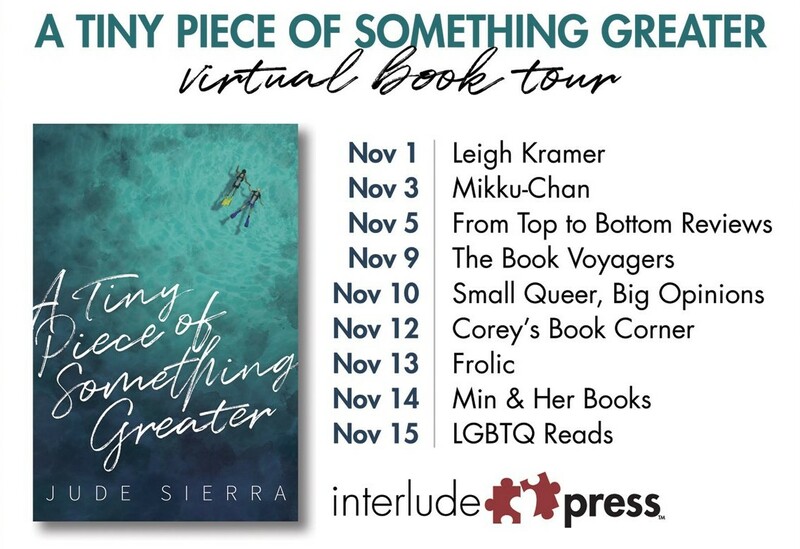 Today is the anticipated release day of Jude Sierra’s latest book A Tiny Piece of Something Greater. You think the title sounds awesome? You can bet it is! The book s actually sooo awesome that I – I apolize in advance – can’t put my review together right now, at least not in proper words other than “Oh-my-god!”. But don’t worry, I will have it ready tomorrow. 😉 So stay tuned. Add your E-Mail to follow this blog and get notifications about new posts via E-Mail.